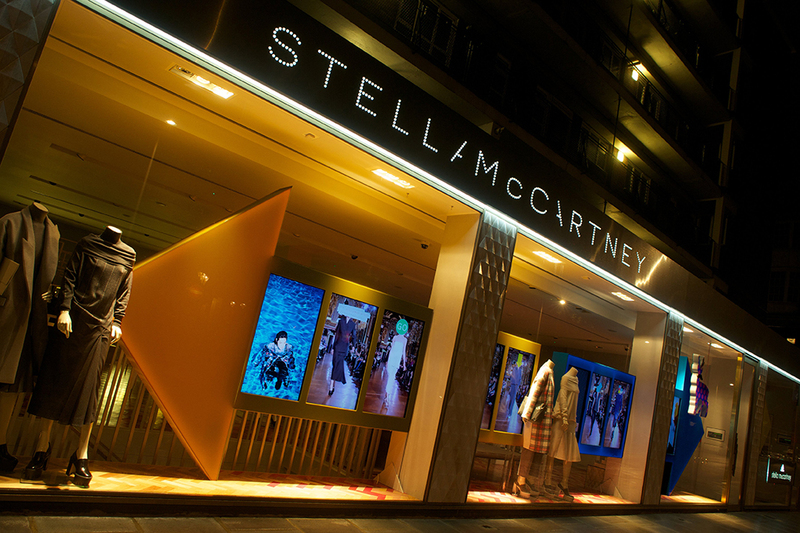 BrightSign, the market leader in digital signage players, was selected by Freehand to complete digital signage installations at Stella McCartney stores located across the globe. Freehand created and supplied content for the ‘arrows’ themed window installation, and BrightSign’s players display the content on 40 screens located in 14 Stella McCartney stores worldwide, including the US, UK, continental Europe and Asia. These installations further illustrate BrightSign’s prominence in window promotions for top fashion brands worldwide. Stella McCartney, one of the world’s best-know fashion brands, commissioned Freehand to generate the signage content and install the players. Players for the European locations were supplied by one of BrightSign’s distributors, Pixels. Freehand selected BrightSign players for these applications for their exceptional reliability and compact footprint. The units were comfortably concealed within the arrow features of the display, and were synchronized wirelessly, eliminating the need for unsightly network cables.